A perplexing issue crept its way into a project recently that revolves around the AutoCAD command BASE [enter]. Note the description of the command as it is hovered over in the tool tip. It sounds like a description but it should also be a WARNING. When you run the BASE command in a drawing note that the coordinates should be o,o,o (zero,zero,zero) [shown below]. If the BASE command is run and these coordinates have been changed, notice the warning that appears (shown below). It seems to be more concerned about the Z coordinate not being set to zero than anything, but at least it lets you know that this has been changed. Using the BASE command can be useful for when you have a series of blocks that are in a folder and each drawing is an individual blocks. 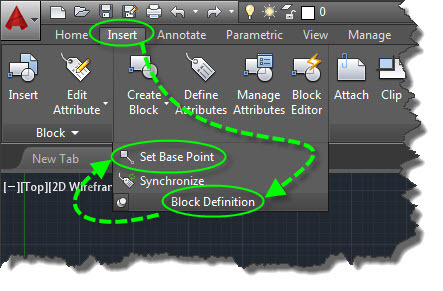 If for some reason, a block needs to have its insertion point moved, it might be easier to open the drawing and run the BASE command and then simply snap to a point to define the new “BASE” point, then trying to select all of the objects that make up the block and then move them to the coordinates (0,0,0). But if you have dynamic blocks or properties of a block that require it to be opened and edited in the “Block Editor,” you are out of luck. The below warning will appear telling you that the BASE command will not work in the Block Editor. Now here is the important thing to remember or at least try if you have a problematic drawing/model. Here is the scenario – An Electrical designer had a 3d model referencing all of the other disciplines (Piping, Structural, Civil, & Mechanical) and when he had his drawing opened, everything looked correct. But when every other discipline opened their model, everything was fine EXCEPT the electrical model. This is because somewhere along the process, the BASE command was used and was snapped to some random object. And as the description says, this will be the “Origin” or Base Point that other drawings will process and use when this drawing is inserted as a block or XREFed into their drawings. Luckily, if the BASE has been changed, you can later use the BASE command and it will show the new coordinates – meaning it will not show (0,0,0) allowing you to easily enter these values thus fixing the XREF issue. This entry was posted in Blocks, Manage, Modifying, XREFs. Bookmark the permalink. Hello, thank you for this article which is very interesting , Autocad is difficult to take in hand with software but your article is no longer the case .